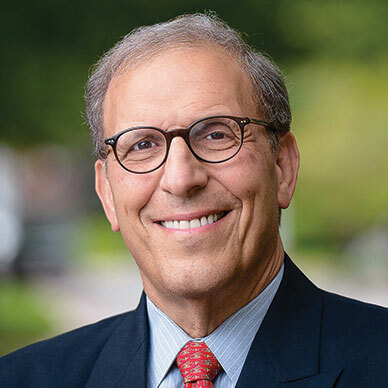 Professor Len Schlesinger’s connection to Venly starts with his commitment to Venly’s goal of field-based business certification for recent graduates, returning veterans, and each of the local businesses they serve. For over three decades, Professor Schlesinger has pioneered entrepreneurial, organizational, and service best practices that bridge the gap between academia and business. As President of Babson College, his development and expansion of experiential methods of teaching and learning extended the school’s top ranked programs for educating entrepreneurs. He began his academic career at the Harvard Business School where he now serves as Baker Foundation Professor and teaches in both MBA and Executive Education programs. Outside of academia, he has held several roles in the private sector. From 1985-1988, he served as Executive Vice President and Chief Operating Officer of Au Bon Pain (a chain of French bakery cafes). From 1997-2007, he served in various executive positions including Vice Chairman and Chief Operating Officer with the retailer Limited Brands (now L Brands), which owns and operates numerous retail concepts including Victoria’s Secret and Bath & Body Works. He was also a leader in the design and development of the “Work-Out!” initiative at General Electric, is the author or co-author of 13 books and numerous articles in leading journals and has served as an advisor or board member for more than 200 organizations around the world.